Welcome to the July 2012 edition of the Leadership Development Carnival! I maintain a distribution list of over 75 leadership development bloggers who I've gotten to know over the last five years. Each month, I'll ask them to submit their best recent post to be included in a monthly collection of posts, or "carnival". I rotate the hosting duties every other month. Sometimes theres a theme, depending on the time of year or host's creative bent. For bloggers, it's a way to particpate in a community of practice and pehaps gain a few new readers. For readers, it's an easy way to scan a collection of diverse, recent, high quality leadership development posts and pick out a few (or all) to read. When I read these posts, I was humbled, inspired, informed, and entertained. I'm honored to present them to you. So here we go, let's get started with the fireworks! 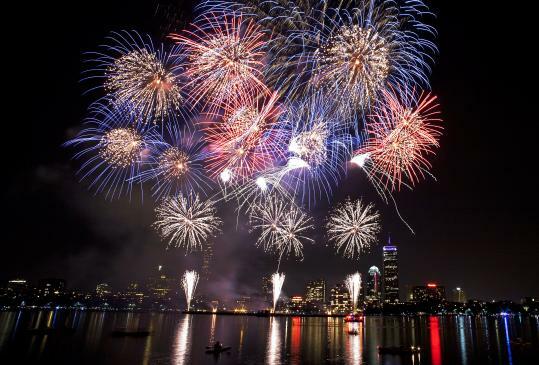 Picture: fireworks over the Boston Harbor. From Wayne Turmel, The Connected Manager blog, here's Why WebEx is like Soylent Green. Lynn Dessert, from Elephants at Work, gives us Leadership Agility: How to Improve it. "Knowing what gets in the way of leadership agility is the easy part, improving it proves to be more difficult." Art Petty, from his Management Excellence blog, presents Just One Thing: Always Add Clarity to Challenge. Here's Bernd Geropp, from More Leadership, Less Management, with Micromanagers and the e-mail trap. "Many entrepreneurs and senior managers tend to work around the clock, but take too little time for the real leadership tasks." Jesse Lyn Stoner closes out our first sement with a bang with A Big Goal Is Not the Same As a Vision, from her Jesse Lyn Stoner blog. "It's easy to confuse a really big goal with a vision, but the difference is important. Here's how to tell". Chris Edmonds presents Build a Culture of Accountability, from his Driving Results Through Culture blog. Chris tells us how to set clear goals and citizenship standards then hold all staff accountable for both. Anne Perschel, from From Germane Insights, presents Dear Leader: Do We Have a Deal? Adi Gaskell, from Process Excellence Network presents Seven habits of Highly Inefficient People. "A light-hearted look at some habits you don’t want to mimic at work." Mary Jo Asmus, from Mary Jo Asmus presents Stand Up. "Leading others sometimes means taking a stand for what’s right, even when there is risk involved. The best leaders have the courage to stand up in order to stand out." Jane Perdue gives us Effective leaders are tough AND tender, from her LeadBIG blog. "Combining empathy with accountability is a unique skill set no leader should be without." Tanmay Vora, from his QAspire Blog presents Leading Projects: Balancing Rational with Emotion. "When leading projects and building an organization, leaders have to balance rational with emotion, processes with empathy and practices with people." Jim Taggart, from Changing Winds, presents The 6 Inner Leadership Selves. "In the post I talk about different ways leadership can be practiced. I provide contrasting questions for each of the six elements I present. These questions are aimed at fostering personal reflection by the reader." Mary Ila Ward from Horizon Point Consulting submits Pot, Meet Kettle. "Many people seek to model the behaviors of their leaders. But are you modeling behaviors that you want others to demonstrate? This piece highlights how the behaviors we dislike in others are often ones we demonstrate ourselves, and seeks to outlines ways to overcoming derailing workplace behaviors." Linda Fisher Thornton from her Leading in Context Blog presents Leading for Ethical Performance. "Senior leaders need to work together as a team to create an organization where ethical leadership is rewarded and unethical leadership is quickly corrected." Margy Stoner (of Weaving Influence LLC) submits on behalf of Wendy Appel, from her Wendy Appel: The Enneagram Source blog: What it Means for Leaders to Show Up. "In this post, Wendy Appel, author of "InsideOut Enneagram" discusses the meaning of the words "show up." She writes, "When we show up and are present, we can listen to what has heart and meaning, tell the truth without blame or judgment and be open to outcome, not attached to outcome." Lisa Kohn of Chatsworth Consulting Group presents 6 steps to avoiding analysis paralysis on The Thoughtful Leaders Blog, where she talks about the challenges of balancing between planning and doing. Submitted by Melody Bridgewater. Wally Bock, from his Three Star Leadership Blog presents The People-Centered Workplace. "Too much management thinking tries to turn people into something else.There's a better way." Randy Conley, from his LeadingWithTrust blog presents Father’s Day Special: Five Leadership Lessons From Being a Dad. "Lessons on being a better leader are all around us if we’re only willing to pay attention. In honor of Father’s Day a few weeks ago, I reflected on just a few of the many lessons I’ve learned from being a father and how they’ve helped me as a leader." Nick McCormick from Joe and Wanda on Management presents Continuous Learning. Miki Saxon from MAPping Company Success presents What is Diversity? "What constitutes true diversity? Is there more to it than can be seen? Is there an accurate indicator for you as a leader that you are actually achieving it?" David Burkus from LDRLB presents a guest post by Betty Bailey: Going off the Rails. Jennifer V. Miller from The People Equation presents Leading a Meeting? How to Avoid a Snooze-Fest. All leaders run meetings, but not all of them do it well. Jennifer V. Miller, a former corporate trainer, shares tips for managing group dynamics that work equally well for workshops or meetings. Bonus content – she’s offering a free reference sheet called “6 Tips for Getting People Involved”. Guy Farmer from Unconventional Training presents How to Keep Your Employees Motivated. "Proactive leaders understand that motivating employees is about helping them feel great about themselves and doing meaningful work." Mark Bennett from TalentedApps presents Leadership and Complexity. "One of a leader’s job is to reduce complexity. How to do that isn’t very simple." That's it for this month's edition! 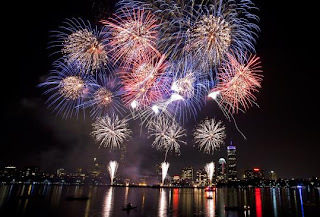 I hope you have a great 4th of July Holiday!